With an abundance of talent set to combine for a breathtaking performance next month, Getintothis’ Stephen Geisler can barely contain his excitement. On March 2 at the Invisible Wind Factory, contemporary classical ensemble Manchester Collective will appear with DJ and electronic artist Vessel in an ambitious collaboration effort titled 100 Demons that some would say is long overdue. This will be the ensemble’s second tour date of just three days, spanning March 1-3. The performance, according to the Manchester Collective, consists of three sets, opened by a solo set from Vessel consisting of tracks from his recent album as well as his influences, giving spectators a chance to see him in action before the commencement of his European tour, taking him to some of the biggest festivals around. In addition to being a producer and DJ, Vessel a.k.a.Sebastian Gainsborough has scored films, most recently Park Chan-Wook’s The Handmaiden. The second set of the night will be more strings-oriented – combined with electronics – with special guest Oliver Coates, a producer and cellist who recently completed a tour supporting Radiohead. Oliver’s music pushes boundaries and is like nothing most people have heard before, and so it will be a huge treat for all involved to witness his performance. For the third set comes the world premier of the musical piece that is 100 Demons, composed for the Manchester Collective by Daniel Elms. 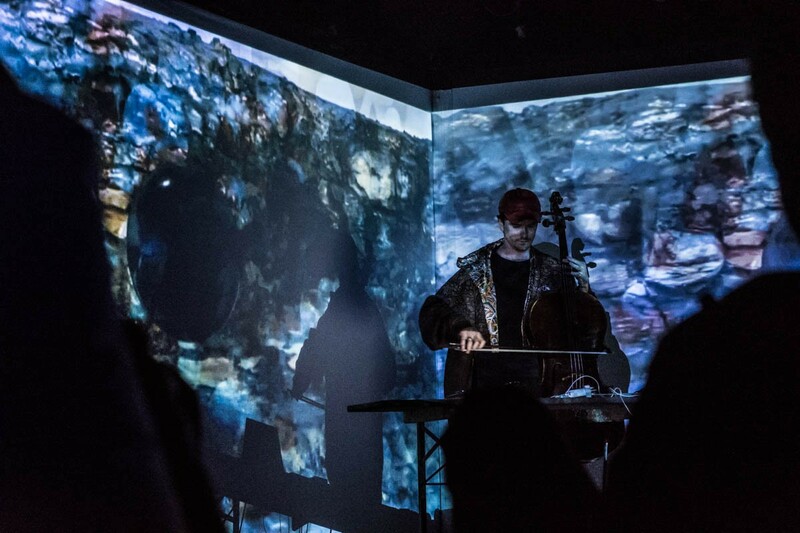 Daniel Elms is defined by his sound merging electronic instruments with conventional string ensembles, suggesting that his mind inspired more than just the title piece of this collaboration. He is spoken very highly of by all involved, and his past works speak for themselves – 100 Demons is something very special, and this night will be one to remember. 100 Demons featuring Vessel, Oliver Coates, Daniel Elms and the Manchester Collective takes place on 2 March at Invisible Wind Factory. Tickets on sale now.